Even though it seems like he’s a supporting player to the festival that bears his name under the title, only Eric Clapton could attract this level of six-string firepower to donate their services and benefit his Crossroads Centre for the chemically dependent. The 2013 edition was the fourth such outing and the first to be held at an indoor venue, New York City’s Madison Square Garden. It’s not exactly an intimate space, but better than the sports stadiums that have hosted this shindig in the past. Oddly, it’s also the first to release the musical highlights on CD in addition to DVD, for those who want to take it on their own road. However, the audio version at 29 tracks is far shorter than the double DVD that includes 45 performances and nearly five hours of music, along with backstage footage. Clapton’s wide range of influences from psychedelic rock, to folk, swampy county, a bit of jazz and of course blues are represented by this diverse cross section of mostly American guitar talent. There may not be something for everyone—there is a disturbing lack of women players in the heavily testosterone, boys club line up—but if you are a guitarist and/or appreciate any of the above genres, this is a terrific listen. Unique combinations of artists such as John Mayer with Keith Urban doing a rugged take on the Beatles’ “Don’t Let Me Down”, Sonny Landreth and Derek Trucks tearing through the former’s sizzling “Congo Square”, and perhaps most intriguingly Clapton joining Keith Richards, both clearly enjoying themselves on the blues standard “Key to the Highway,” are just a few stellar moments. With the high level of musicianship here, and the ability to grab the best tunes from two long days of shows, there aren’t any weak segments. 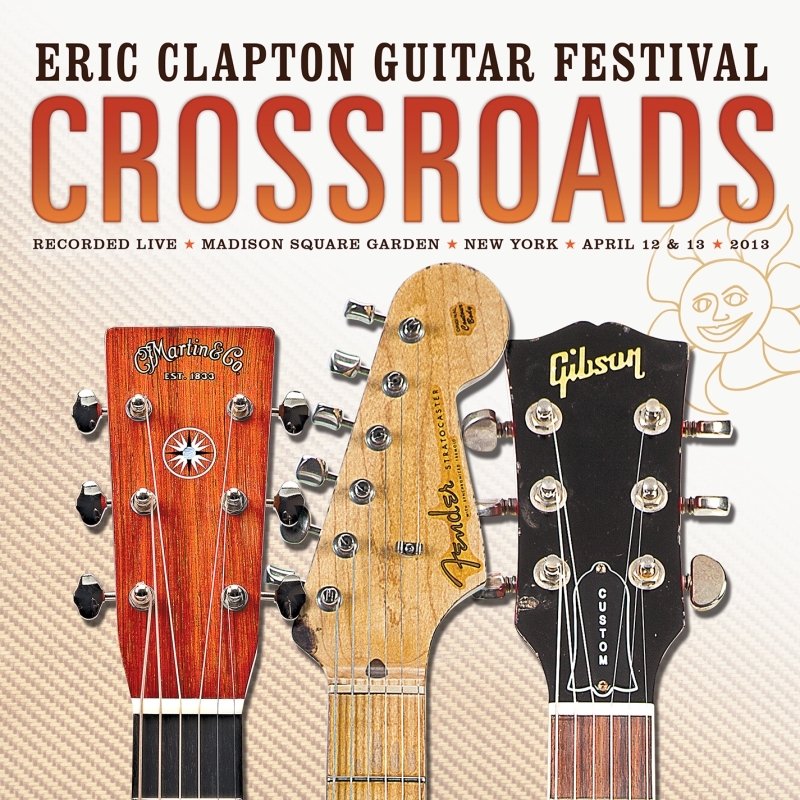 A few—but not enough—under-the-radar acts such as veteran jazzers Earl Klugh and Kurt Rosenwinkel join returning stalwarts such as Jeff Beck, John Mayer, Robert Cray, Jimmie Vaughan, Gary Clark Jr., Buddy Guy and others who have appeared on at least one previous Crossroads guitar fest. Clapton reserves the right to choose who he wants of course, but other deserving names that have not yet been a part of this recurring gig would spice up the proceedings considerably. Additional emphasis on acoustic playing makes a smart changeup from the typically more rocked up attack with Gregg Allman, Derek Trucks and Warren Haynes’ thoughtful and searing version of Neil Young’s “The Needle and the Damage Done” a particular standout.